Belgium is famous for its superb beers, delicious waffles and the worldwide known french fries and ofcourse chocolatelovers can tease their sense of sweet taste. But there is also a young and experienced street art lover and curator, Bjorn Van Poucke, who got involved in small and big interventions in public space of the big cities of this small countrylandscape. 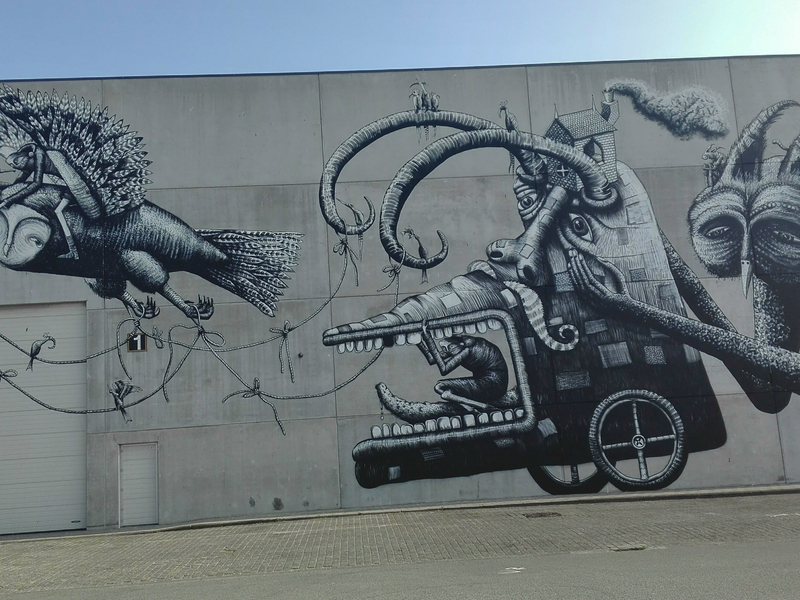 Visiting the latest edition of this art-festival in the beginning of April unlocked a real interest in the Belgium Street Art scenery. “Public Art” – About definitions we won’t discuss but what this festival does to a city is definitely a public service. If it is not to please our eyes, it is for sure to spread the lovesparkles for these artistic expressions not only to a very wide audience but also through a huge diversity of street artists all kind. 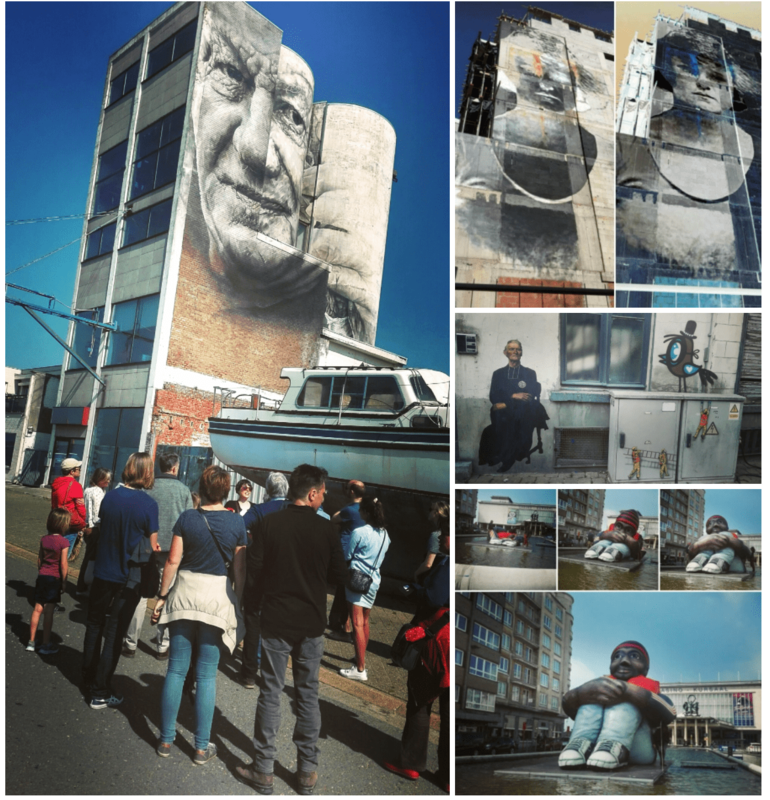 Art and cultural heritage are central themes to cover a wide range of surfaces in the seaside-city of Ostend. 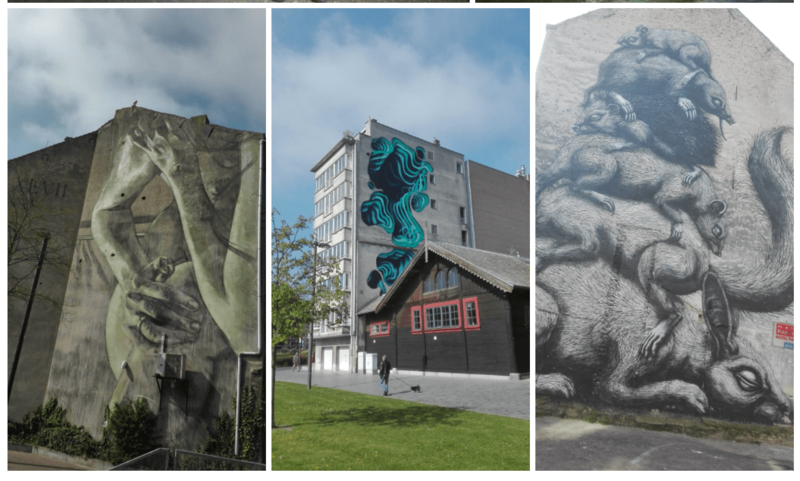 Artists worldwide passed by to cover not only the commercial centre but also the harbour side, the residential area… It is about creating a flow throughout the bigger part of the city of Ostend. With a line-up of artists and pieces that takes your breath away, one encounters artists that dare to experiment with their own unique print on the wall. Some have a huge storyline revealed in the bits and pieces brought on the city surface, while some display the narratives of local people, others add a touch of beauty to urban landscape. Last year I missed out but this year I had the opportunity to join a guided walking tour with Lola** (aka aprimadona aka female party of Chépas-collective aka a crazy friend and inspiring artist herself). She brought some insider’s information of the art-scenery and the wicked minds behind those wonderful pieces on a plate in a funtivistic way. A map*** of all the presented works of last year and this year’s edition can be easily downloaded online for walkers and cyclers to go on one’s own experience of this ancient though contemporary version of marking the walls.